Well this is one of those cooking fails. Not really, the product was delicious, the execution big fail. 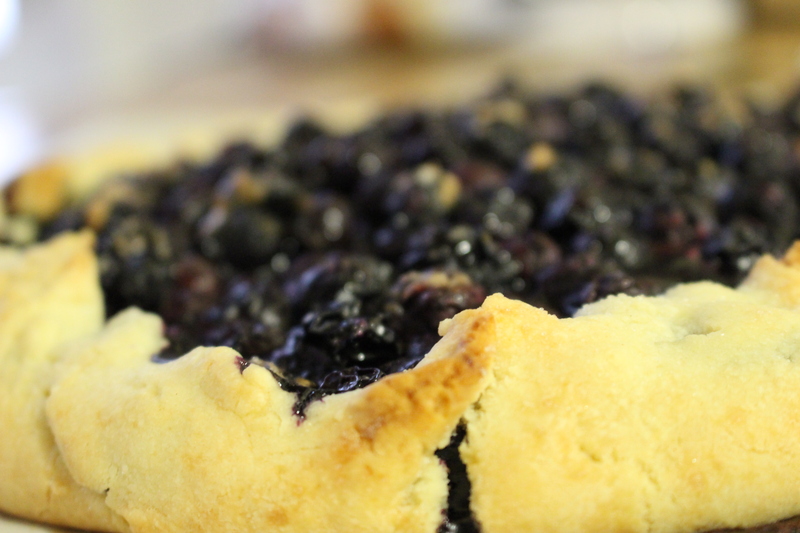 When I decided to make this pie I had a large container of fresh blueberries and I was gifted a very large bag of organic blueberries from a Quebec farm, they were from my neighbour. I have made this free form pie before many times, with apples. It turned out magazine worthy then, of course I wasn’t blogging and only the two of us were ever here to eat it or see how nice it looked. 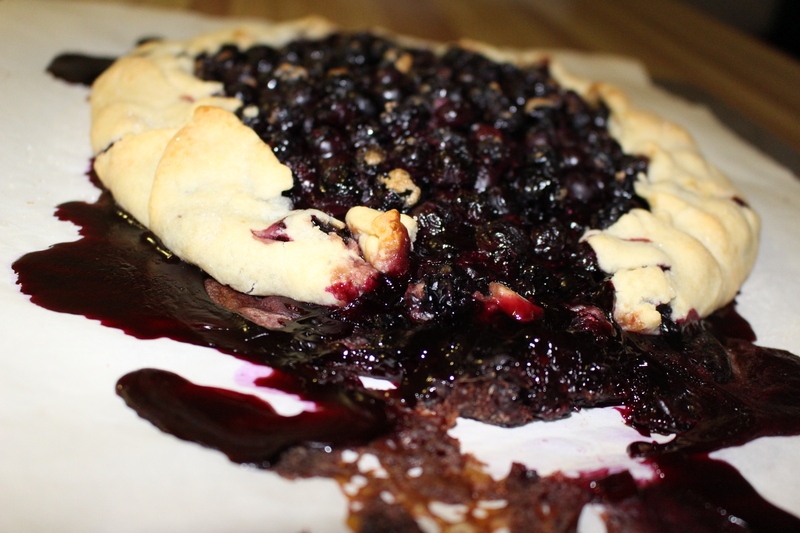 I had company coming for dinner, I had a lot of blueberries, I would make this well practiced pie recipe. All was going well until the pie was cooking away in the oven and I heard sizzle, what could that be…..oh no no no no. I looked in and the side of the pie was gone and the sugary, syrupy juices were dripping to the bottom of the oven and the pie wasn’t even half way done yet. Normally I would freak out as this point, but I didn’t, ok a little, then I moved on. I quickly slid a piece of aluminum foil on the bottom rack closed the door and ignored it until it was done. We still enjoyed the pie, even though not perfect, it was great. 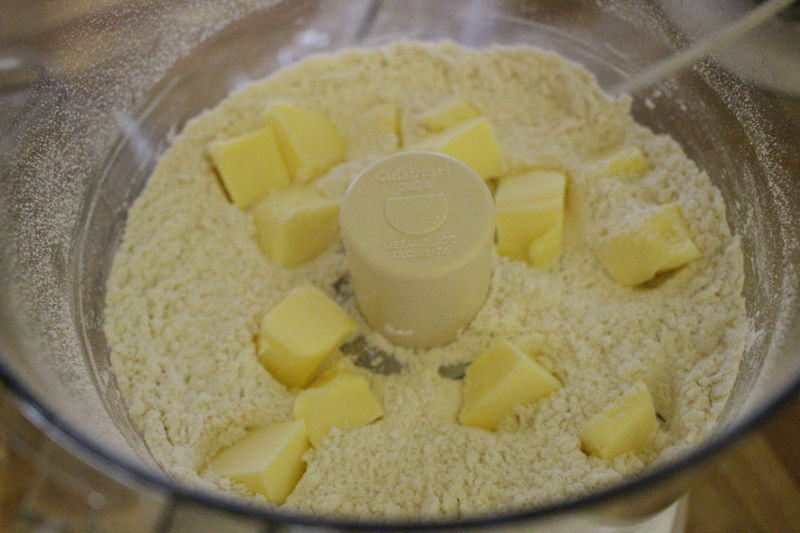 blitz the flour, butter sugar and salt until it comes together, in a separate bowl whiskey yolk and milk, add this to the flour mixture and process until it is completely incorporated into the dough. Then make dough into a disc and refrigerate wrapped in plastic wrap for about 20 minutes (you can also prepare the dough the day before and keep in the refrigerator wrapped until ready to use). For the berry mixture I tossed 4 cups of berries with 1/4 cup sugar, 1 Tbsp flour and a pinch salt and 1 tsp vanilla. Take the dough out of the fridge about 10 minutes before rolling. Roll it out to a a circle that is about 12-14 inches in diameter and place on a parchment lines baking sheet. 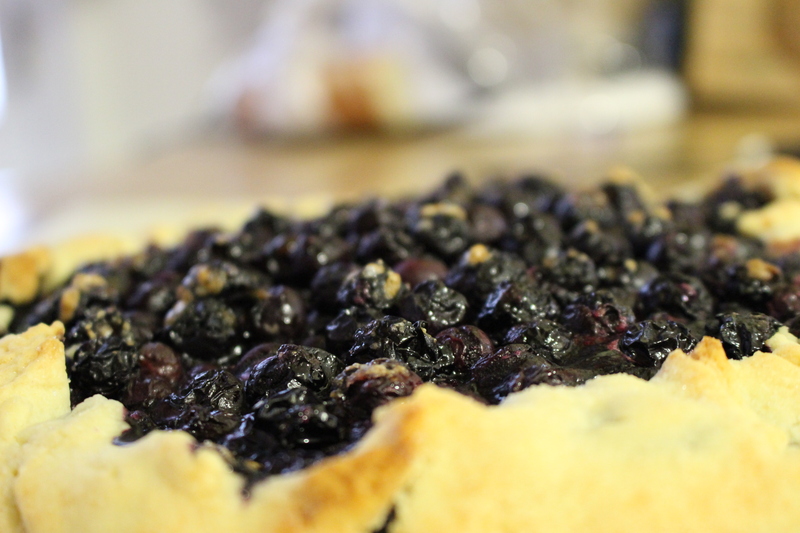 Pile the berry mixture into the centre and fold the edges up over the the fruit to create a rim about 2″ wide. Make an egg wash by beating an egg and brushing it over the pastry. In the past I sprinkled sugar over the edges of the pastry, this time I didn’t. As you can see it was a mess. However, we cut that thing up and topped with with vanilla ice cream and it was delicious. 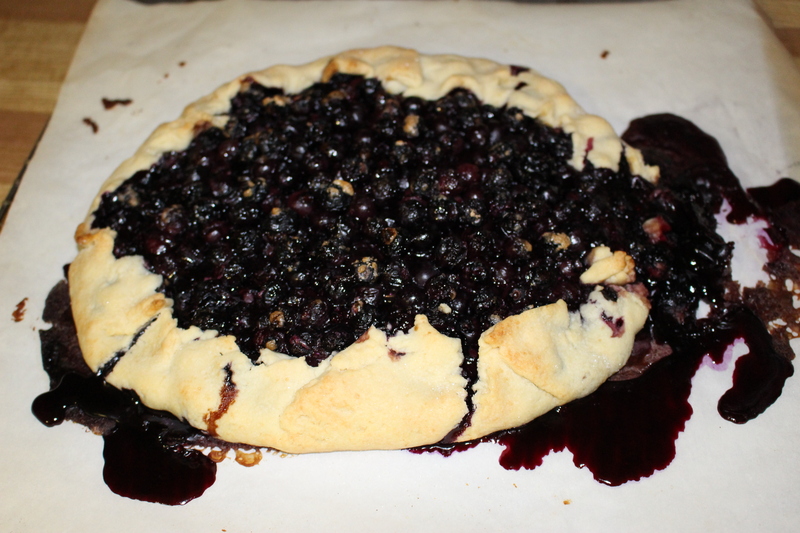 I will give the recipe another go, maybe roll the pastry a little thicker and use a little less of the berry mixture. Maybe next time I will use a pie plate (or at least a rimmed baking sheet) to keep in the juices.